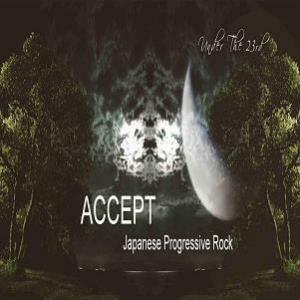 Japanese project ACCEPT is mainly the creative vehicle for composer and musician Hisao, and ever since the first album "Silver Moon" appeared in 2007 this Japanese project has been an ongoing venture. "Under the 23rd" is the fifth studio production to be issued under the Accept moniker, and was released through the fledgling Prime Number Label in 2015. "Under the 23rd" is a novel and experimental production, even if not extremely challenging, and as many such ventures goes not all the material is as interesting as the rest. Striking throughout, often compelling, but sometimes also a bit too odd and quaint for comfort. If you think that an album that blends old and modern classical symphonic details into a broader context of ambient music, neo-progressive rock and symphonic progressive rock sounds like a good thing, then this is an album that you probably should inspect at some point.